It is the tradition in the United States to celebrate the independence of our country every July 4th. It is a Federal and local Holiday and many families attend parades, picnics, fireworks shows and patriotic events. 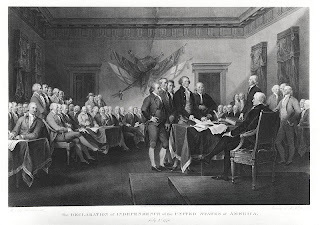 One of the most enduring myths about America's Independence Day is that the U. S. Congress signed the Declaration of Independence on July 4, 1776. The legal separation of the American colonies from Great Britain occurred on July 2, 1776, when the Second Continental Congress voted to approve a resolution of independence that had been proposed in June. 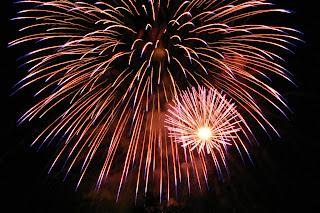 At the time, John Adams wrote that July 2nd would be the day celebrated thereafter as the day of independence. After voting for independence, Congress drafted the Declaration of Independence as a statement to explain their action. After debate and revision, the resulting declaration was passed on July 4, however most scholars agree that the 56 signers were never together as a group and the version generally referred to as THE Declaration of Independence, the one on display at the National Archives, was effectively signed on August 2nd, of that year. In a remarkable series of coincidences, both John Adams and Thomas Jefferson, two of the founding fathers of the United States and the only two men who signed the Declaration of Independence to become president, died on the same day: July 4, 1826, which was the United States' 50th anniversary. President James Monroe died five years later, on July 4, 1831, but he was not a signatory to the Declaration of Independence.